Richard J. Marva Sr., Shoaf, Pa.
Richard J. Marva Sr., 82 of Shoaf, Pa. passed away on Thursday, November 22, 2018. He was born April 19, 1936 in Shoaf, Pa. the son of Steve Marva and Mary Zelenak Marva. His parents and siblings, Bernard Marva, Robert Marva, Stephen Marva, John Marva and Anna Jane Marva all preceded him in death. Surviving are his wife of 56 years, Martha (Wonkovich) Marva; son, Richard J. Marva Jr., Smithfield, Pa.; siblings, Paul Marva Sr. and wife Carolyn, Phillip Marva and wife Janet, Irene Persely, Bernice Vilk and husband Ted, Mary Ann Skala and husband Joseph and Helen Jane Kuchno and husband Leonard; sister-in-law, Elizabeth Marva; many nieces and nephews and will be missed by Bubba Chury, Jim West and cousin, Joe Giachetti. Richard was a Korean Conflict US Air Force Veteran, 334 th Fighter Squadron from 1953 to 1957 serving at Kimpo Air Force Base, Korea and Hokido Air Force Base, Japan. He was employed for many years at US Steel Robena Mine and retired from Consol Dilworth Mine. 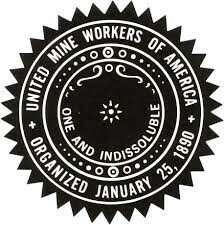 He was a very proud member of the United Mine Workers of America, Locals 6321 and 1980. Richard was a member of SS. Cyril and Methodius Roman Catholic Church in Fairchance, Pa. The family will greet friends and family in the Dean C. Whitmarsh Funeral Home, 134 West Church Street, Fairchance, Pa. on Sunday from 2 to 4 and 6 to 8 p.m. A Funeral Home Blessing Service will be held on Monday, November 26, 2018 the time to be announced with burial following in Saint Joseph Cemetery, Fairchance, Pa.
A Special Thank You is extended to Mount Saint Macrina Manor Staff, Amedisys Hospice of Uniontown, Dr. Conley, Dr. Peracha, Uniontown Hospital and Jefferson Medical Center for all of the loving care given to Richard.